Brake-Flow® is manufactured from virgin PTFE (polytetrafluorethylene) resin with AISI 304 stainless steel, high tensile braid. Available in neon (transparent) or block colors. 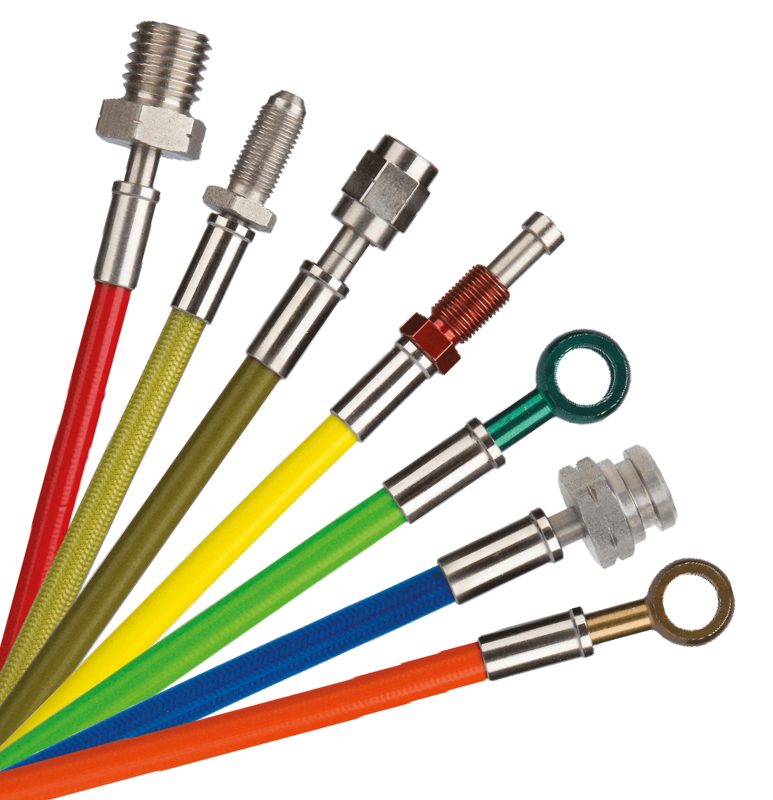 Typical applications for this hose are braking systems for mountain bikes, motorcycles and vehicles. Complies with Federal Motor Vehicle Standard 106 SS (FMVS106). The colours may differ from the actual colors.